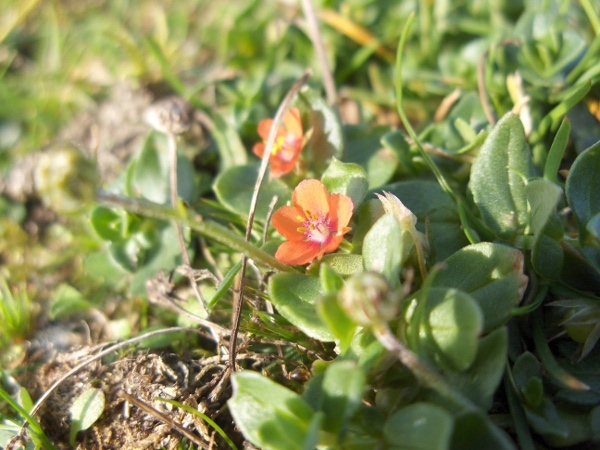 Synonym | Anagallis arvensis L.
Anagallis arvensis is a common weed of cultivated and waste ground. 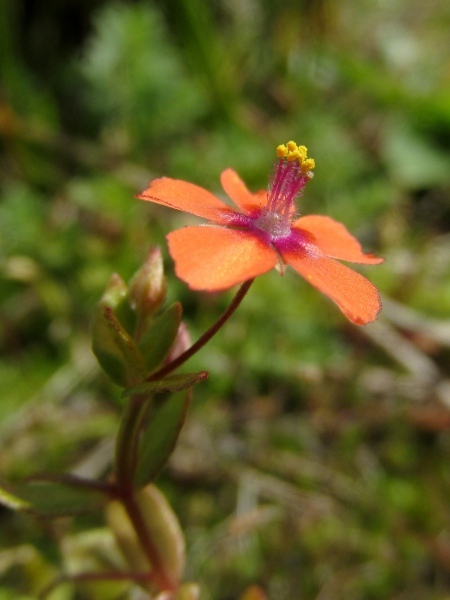 The flowers of Anagallis arvensis have five sepals, petals and stamens around a single carpel. 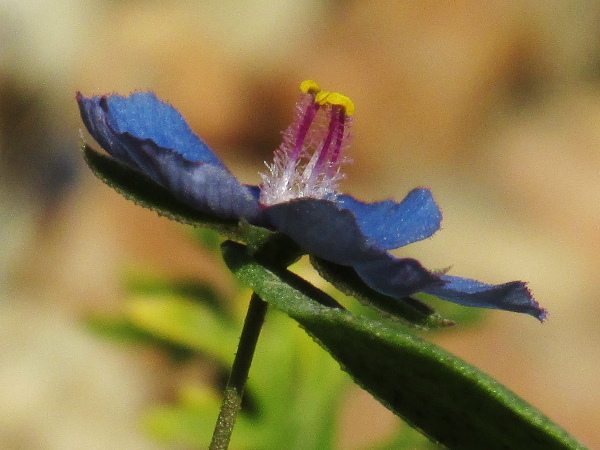 A blue-flowered form, Lysimachia arvensis f. azurea, resembles Lysimachia foemina, but the abundant glandular hairs along the petal margins reveal it to belong in L. arvensis. 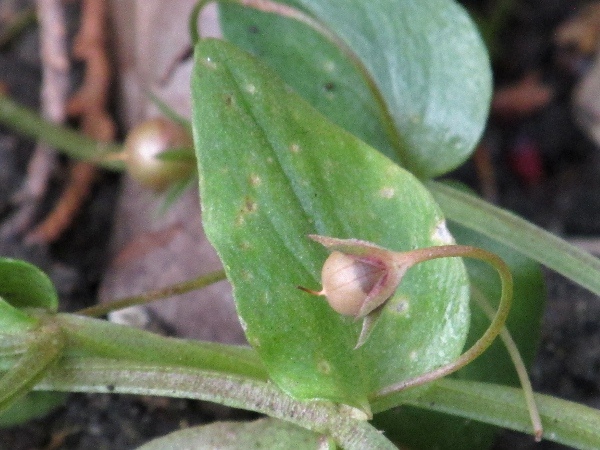 The fruit of Anagallis arvensis is a small, round capsule with the style extending from the tip; the pedicel curves backwards after flowering. 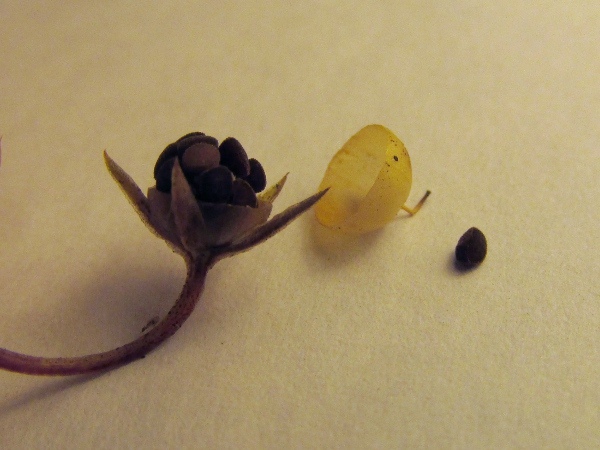 The top half of the capsule falls off to reveal the 20–35 seeds below.